Vandal is Panhead's American Imperial IPA and it's a big one! It's a beer I've had a few times before and can't recommend highly enough. 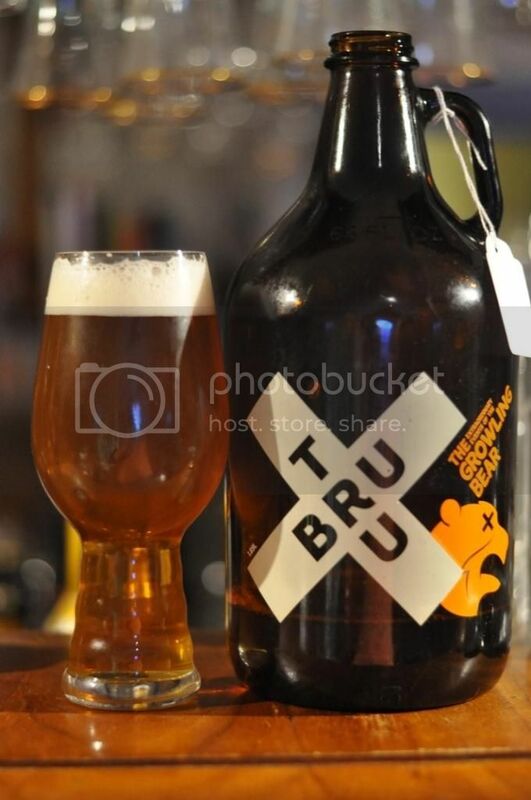 As an interesting aside; the fresh hopped edition of the Vandal was my first ever Bear Club beer, so it's somewhat fitting that a Tru Bru growler is in this reviews picture. 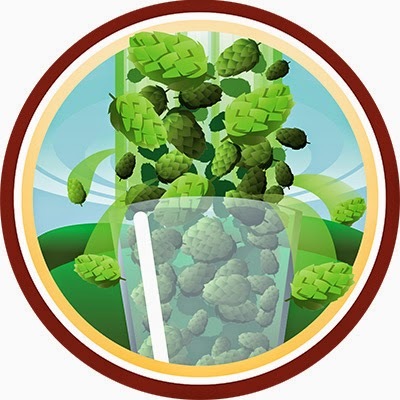 Hopped Up was released in the latest batch of new badges. To qualify for this badge the beer you are checking in has to have a minimum of 65 IBU's, for the uninitiated that means it has to be quite bitter; IBU stands for International Bittering Units (read more here). For everyone else, let's get into the review! The pour is sensational and has that deep orange/golden colour that all of my favourite IPA's seem to pour, which augers well for the rest of this review. The head is relatively small, but a brilliant white colour. It seems to be quite a tight head and does have excellent retention despite it's small initial size. Vandal is a good looking IPA, but there are certainly better out there. Onto the nose and this is one of the places that Panhead's Vandal really shines! It's got a really big fruity nose, with only the smallest hint of malt on the nose. Citrus and Passionfruit are the two most noticeable hop aromas, and there is excellent bitterness there as well! The taste is similar to what the nose sets you up for. There's only a little malt with plenty of hops! I get plenty of pine, something I didn't get on the nose interestingly, as well as citrus and passionfruit. There is plenty of bitterness to the beer and whilst I wouldn't call it a balanced IPA, as far as hop bombs go it's pretty well balanced! Panhead's Vandal very rarely makes it to our shores, so it's best to get your hands on as much of it as possible everytime it does! It's an Imperial IPA that gets better everytime I have it! A friendly hint to Michael and co. - send us more Vandal! If no one else will drink it I will! And as an aside I'd love some more Culture Vulture! If you're an NZ IPA fan, this is one to seek out!